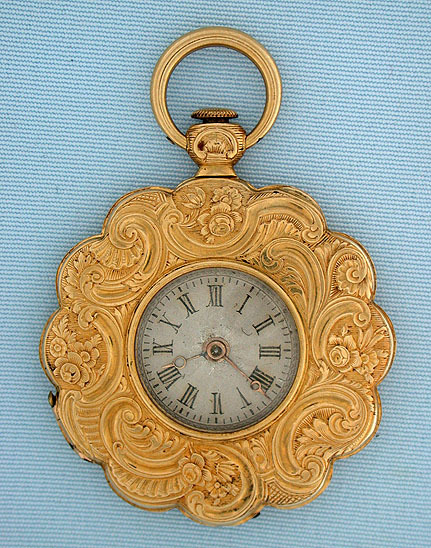 Lovely Swiss flower form ladies antique pendant watch by Freundler, Geneva, circa 1830. 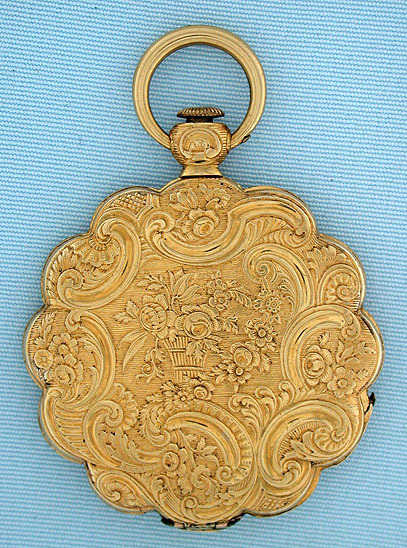 The case chased and engraved overall with scrolling floral foliage. 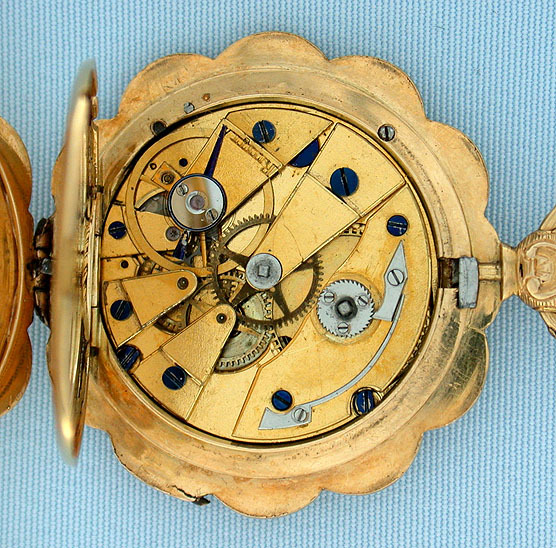 Silver dial with black numerals and gold Breguet hands. 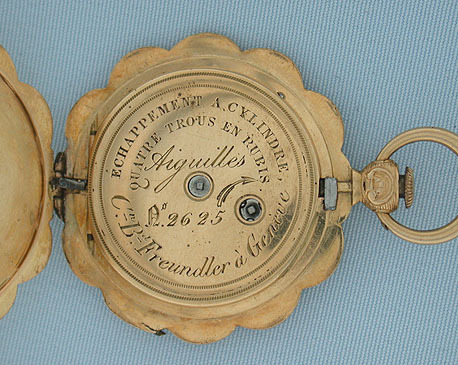 Gilt keywind 6 jewel cylinder movement. Most attractive.